For the fourth consecutive year, Mercedes-Benz Cars Australia will supply the Safety and Course cars to ensure the smooth running of the Liqui-Moly Bathurst 12-Hour Race, from February 2-4, 2018. The field will be led by the Mercedes-AMG E 63 S 4MATIC+ Safety Car and when needed, will corral the high-powered field across all on-track sessions, including Sunday’s race. 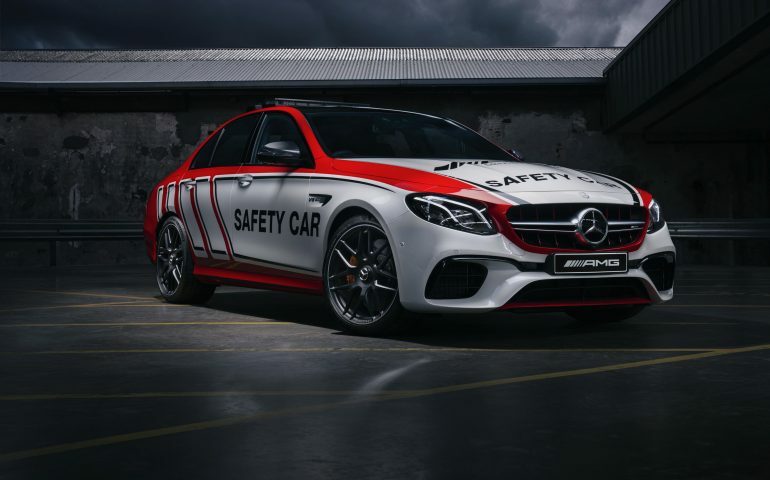 Equipped with a 4.0-litre biturbo V8 engine pumping out 450 kW of power and 850 Nm of torque, the AMG E 63 S 4MATIC+ Safety Car is able to sprint from zero to 100 km/h in just 3.4 seconds and reach an electronically controlled top speed of 300 km/h. Also lending a helping hand, a pair of Mercedes-AMG C 63 S models plus two Mercedes-AMG C 43 4MATIC saloons will perform official duties as Course Cars across the weekend at Mount Panorama. Liqui-Moly Bathurst 12 Hour Event Director John Casey welcomed Mercedes-Benz back to ‘Australia’s International Endurance Race’. “It is fantastic to once again be working with Mercedes-Benz. They have an outstanding presence both on and off the track that I know our fans really enjoy. Following the conclusion of the 12-Hour race, a group of Mercedes-AMG customers will be able to join the on-track action on Monday and Tuesday. Participants will pilot a fleet of performance-focused Mercedes-AMG cars through an exciting series of exercises under the tutelage of professional racing instructors, culminating in the ultimate experience – laps of the famous 6.2-kilometre Mount Panorama circuit. Tickets remain available for the event, with race day tickets priced from just $40, including free access to the paddock area.